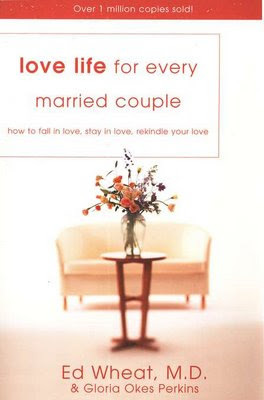 Today a Christian psychiatrist recommended some books to me that are intended for Christian married couples. He said he really liked all three and thought they contained very important concepts for marriage. I thought I would share. Hey Kara! I saw your post and wanted to second those recommendations. Aaron and I have read both Sacred Marriage as well as Intended for Pleasure....they are very different, but equally edifying. 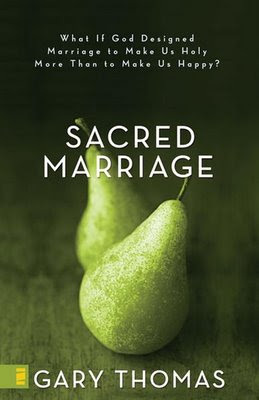 I believe Sacred Marriage is the most challenging book I have read to date, and I'm sure will continue to read through its pages many more times. Enjoy them! Hi Kara...I just now realized that you made a comment on our blog. I have no idea when you put it up, so I'm so sorry if it's been awhile. I wasn't ignoring you, I promise! I'm fairly new to blogging so 1)I don't update it often and 2)I forget ppl can make comments~! To answer your question, Summerlyn is out in southeast Raleigh, 5 miles off Rock Quarry Road. It's a bit of a drive, but we really liked the area and the house they had to offer~! Once it's built we'll have to have you guys over for dinner. Really, I've only ever met your hubby like once at church. But I think it'd be great to get to know you guys more! And we can hang out sometime as well...it's been fun getting to know you and the other ladies in our Bible study! Married life and our "kids"